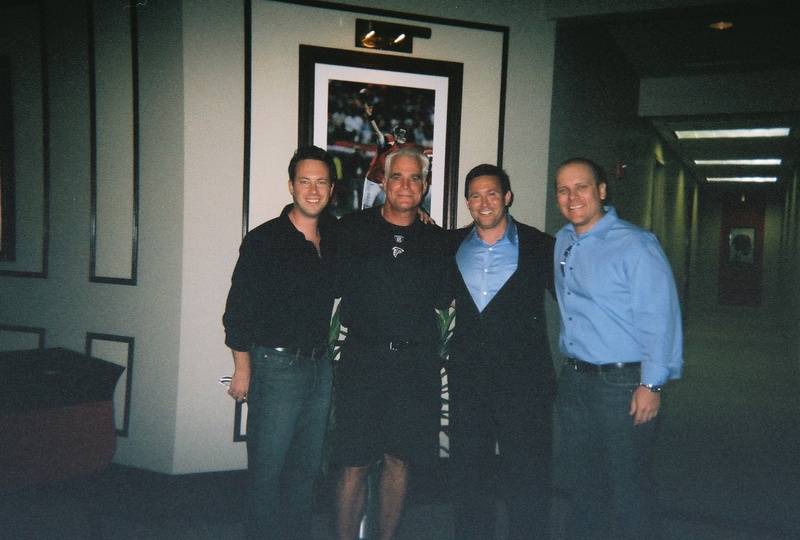 Evidence that I really did meet Mike Smith, the head coach of the Atlanta Falcons last week! Ken Coleman and I had the chance to join Jon Gordon, the best-selling author of The Energy Bus, The No Complaining Rule, and his most recent book Training Camp, as he spoke to the Atlanta Falcons team during camp last week. We got to spend some extended time with Coach Smith in his office, which was a great experience. Jon spoke to the team for around 30 minutes, and then we ate dinner with the players. Of course, I felt like a kid in a candy store. Seeing a team and these players "up close" in their environment is pretty inspiring.